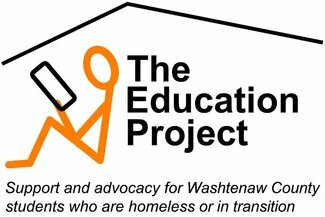 The Education Project relies on a combination of grant support from the state and donations from members of the community. Many of the items provided to families, like toiletries and school supplies, are supplied through donations. This allows The Education Project the ability to fund other school related expenses like field trips, sports/activities, tutoring services and temporary transportation for students. Additionally, the program is always looking for volunteers to help pack up supplies for youth as well as deliver supplies to schools within the districts. By having a team of volunteers ready to disperse supplies, The Education Project will serve families more effectively. Inventory Management: Count, sort, organize, and pack school supplies, toiletries, clothing, etc. to be distributed to students and families. Assemble school supply and toiletry kits as needed. Make a donation: We are always in need of gift cards (Meijer, Target, Big Lots, etc. ), school supplies, toiletries (shampoo, soap, deodorant, feminine hygiene products, toothpaste, lotion, etc.) and cash to be used to fund special needs of students that may arise during the year. Sometimes we need more or less volunteers than originally scheduled. If that occurs we will try to notify you 24 hours in advance.